Responding to the pressing need for accessible education for women, the women’s division of Global Peace Foundation partnered with Service for Peace to open the Global Peace Women Education Center at Bhairabee Secondary School in Dhading District, Nepal on October 31, 2017. 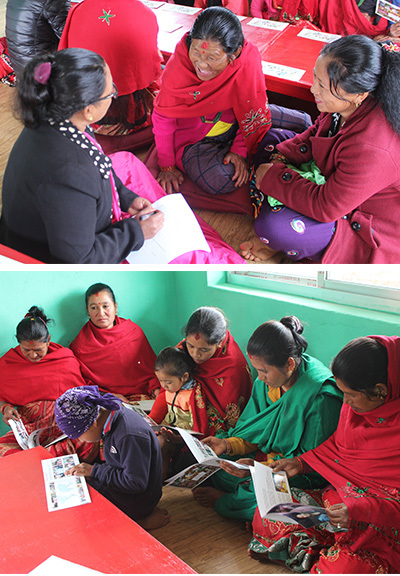 Made to uplift the value of women in leadership, the Education Center was made possible by the efforts of volunteers from Nepal and abroad, including a delegation from Korea. The Center is made for and run by the local women themselves. Courses include leadership skills workshops and hygiene awareness and sanitation programs. Stay up to date on the latest from Global Peace Foundation around the world by signing up for our monthly newsletters.